Note: Hit todays session fast and hard, while also setting a new record on the 3RM Shoulder Press. Christian, Jamie, and James are warriors! Attention Keyholder members and interested athletes in the program! We only have 5 Keyholder enrollment positions open. Please speak with Coach if you are interested in enrolling. Beginning September 15, the Keyholder program will be limited to HQ. There will be a Heavy Bag available at HQ for Krav Maga and bag work. 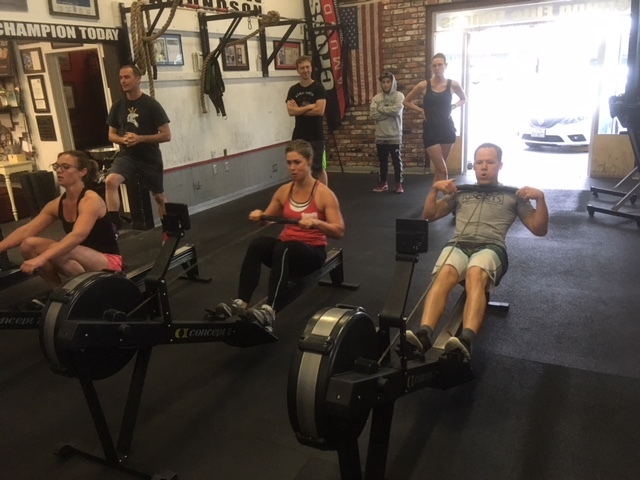 Keyholder athletes are required to check the CrossFit Amundson schedule to ensure private use of the gym does not conflict with regularly scheduled classes.